Pocatello native Travis Zohner started Carpet Solutions after working in the industry for 10 years. What began as a one-man operation has grown into the largest carpet cleaning company in the area. The reason for this growth is simple, though not common—outstanding quality and customer service. 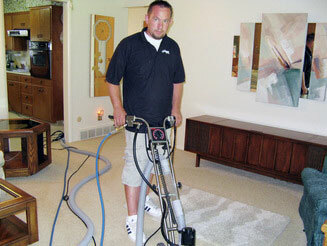 Carpet cleaning is not just about appearance but also about health. Because of this, Carpet Solutions uses a natural cleaning solution that contains no soap, detergent, or petrochemicals. It cleans with the safe but effective power of oxygen. When you use Carpet Solutions you can be assured that your carpet will be as clean as possible and will also be healthy.